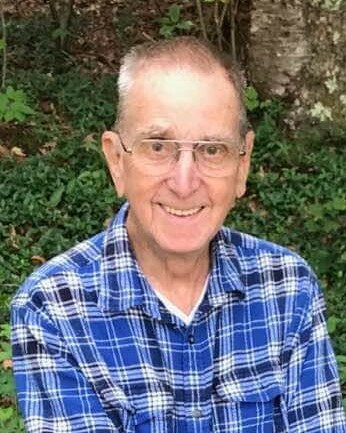 Ernest “Ernie” “Jeep” Blanchard passed away peacefully surrounded by his loving family on Wednesday, April 10th, in his Woonsocket home. He was 91. The cause of death was cancer. He is survived by two sisters, Margaret and Alice, both of Michigan. He was the husband of the late Muriel “Mitzy” Murray who passed away on April 21, 2016. They were married in Saint Charles Church, Woonsocket, in October of 1953. The couple raised three children, Wayne and Cindy of Woonsocket and Robert of North Smithfield. They were one of the founding families of the Our Lady Queen of Martyrs Parish. Ernest was very active in the church, serving at various times as trustee of the church, chairman of the annual carnival/festival and leader of the parish altar boys. For over 20 years he and his wife operated the cake booth at the carnival. He also worked at the parish BINGO, selling tickets or running the concession stand. He served seven years in the Armed Forces, serving in Europe, Asia and the Pacific Islands. He was one of the original officers of Park Square Credit Union. He was a long time welder at the former Sutherland Sheet Metals Works Inc. of Woonsocket. As a welder he was responsible for the design and construction of the Crucifix that perches on the roof of the former Our Lady Queen of Martyrs Church. He considered the Crucifix his “proudest achievement” as a welder. His hobbies including raising homing pigeons, a passion passed on to him by his father, and for many years he raised finches. He also built scale model “Ferris Wheels” and “Merry-Go-Rounds,” a hobby which lead him to write a book about his experience. His funeral will be held Tuesday, April 16, 2019 at 9 AM from the Holt Funeral Home, 510 South Main St., Woonsocket, followed by a Mass of Christian Burial at 10 AM in Holy Trinity Parish, formerly Our Lady Queen of Martyrs, 1409 Park Ave., Woonsocket. Burial will follow in St. Charles Cemetery, Farm St., Blackstone, MA. Calling hours are Monday from 5 – 8 PM. In lieu of flowers, the family requests donations in his name to the Bladder Cancer Advocacy Network at www.bcan.org.